FREE TOUR FLORENCE - Another Florence With Us! Ludovica explained everything in a patient and informative way. She took us to touristy places, but also to less well-known places. Highly recommend going on a tour with her! Thank you Ludovica! Amazing Tour by Free Tour Florence. Tour guide was very knowledgeable and prideful. Very informative. She even gave us local tips on gelato and restaurants, which was a fun bonus. We really enjoyed this very informative tour of Florence, which took us to different attractions that we otherwise might not have seen. The guide certainly gave the perspective of a local living in the City and not just the usual touristy bits. If you are looking for a free walking tour in Florence then you are in the right place! Free Tour Florence will show you Another Florence and will provide you a wonderful experience both fun and educational. There are a lot of things to see in Florence and we think that with Free Walking Tour Florence – Another Florence association, you will have the chance to explore the natural beauty of this city with the eyes of a local. Florence is one of the most beautiful Italian cities and with us you’ll have the chance to visit its soul. This city is famous for its rich culture, Renaissance art, Architecture, and monuments, and the Free Tour Florence – Another Florence tour guides will show you the real heart of the city (off the beaten tracks!!) by giving you the best tips about local life, food and drinks, of course with an insider’s view! Florence has been ranked for one of the most beautiful cities in the world, by the magazine Forbes due to its artistic and architectural heritage. It is also noted as a major national economic center along with tourist and industrial hub. So don’t miss the opportunity to visit the city where Renaissance had begun! “And when I thought of Florence, it was like a miracle city embalmed and like a corolla, because it was called the city of lilies and its cathedral, St. Mary of the Flowers” – Marcel Proust. Palazzo Vecchio, the town hall of Florence located in Piazza Della Signoria, where you will see the very famous Michelangelo's David, together with the gallery of statues in the adjacent Loggia dei Lanzi. Ponte Vecchio or Old Bridge, one of the symbols of Florence and one of the most famous bridges of the world, a curve bridge over the Arno River noted for still having shops on it, as it was once normal. The Basilica di Santa Croce, the main Franciscan church in Florence, that overlooks the Piazza di Santa Croce where there is a marble statue to commemorate Dante Alighieri. The guides of Free Tour Florence – Another Florence team, will make your visit to these amazing locations more memorable and enjoyable, because they will show them with the eyes of a local. Free Tour Florence – Another Florence team is composed of freelance tour leaders who decided to work together to support authentic and local Florence. All the Free walking Tour Florence – Another Florence guides have the best combination of different disciplines such as Art History, Foreign Languages, Architecture, Sociology, and Economics… so each of them has a different background, different interests and different guiding style. Our basic aim is to explore this amazing city by giving you a great experience away from the crowds and with the eyes of people who live it every day. Our guides will be pleased to help you with any general or practical questions you have regarding your stay in Florence. As Free Tour Florence – Another Florence we believe that everyone should have the chance to take a guided tour getting value for their money. We cover a total distance of 3 km (2 miles) but you should be prepared for more walking. 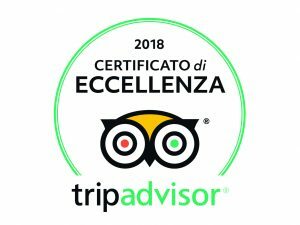 We have decided to become Free Walking Tour Florence – Another Florence guides because in this way we are able to offer everybody the chance to attend a 5 stars tour leaving the free decision to set the price according to the possibilities and the satisfaction of our tourists instead of setting a fixed one. Is only thanks to your generous donations that we can keep guaranteeing these tours! Florence is one of Europe's most important tourist destinations and it can be very difficult to visit it without a local guide who will help you to find your way there. Free Tour Florence team supports sustainable tourism idea and we want to introduce you to the less known parts of the city, to tell you something you'd never find on common travel books. Our purpose is to show you this amazing city through the eyes of an insider and to help you to live it as a local does! We want you to see more than the 90% of people visiting Florence will see. Free Walking Tour Florence is for travellers, not for tourists! You don't need us to go to these areas, there are many indications all over Florence and you can find plenty of information online. Most guided tours will take you there but we are different and we want to show you a different side of Florence. Since we want to provide you the highest quality tour, we don't go to Piazza del Duomo and the Ponte Vecchio because they become extremely crowded and loud during the day and it would be extremely difficult to hear and follow the guide. Give a look and book your free walking tour!